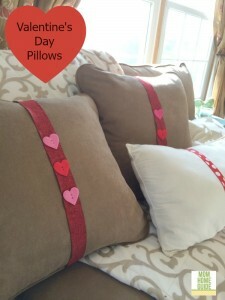 Today I am sharing with you my easy Valentine’s Day Pillows decor idea — my craft is a super easy way to add some Valentine flair to your existing pillows without having to spend much money — that’s always good, right? 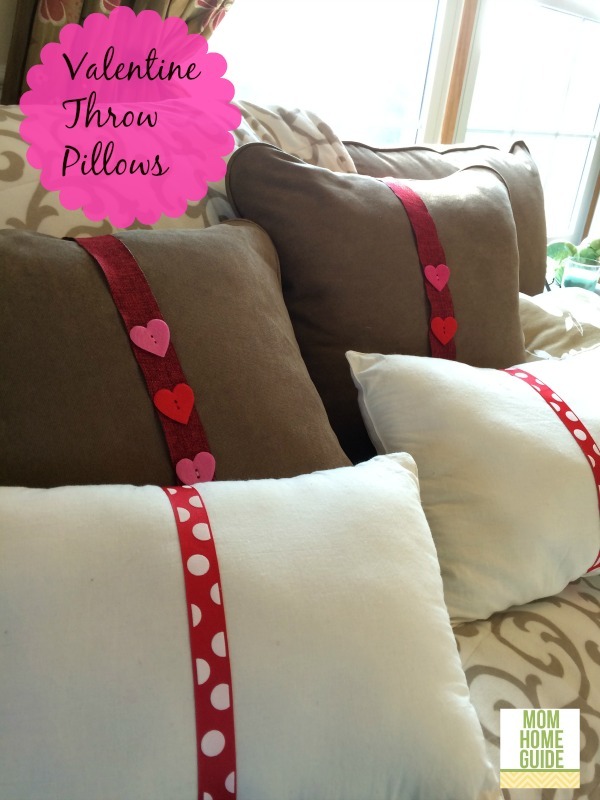 Check out my Valentine’s Day pillows tutorial toward the end of this post! 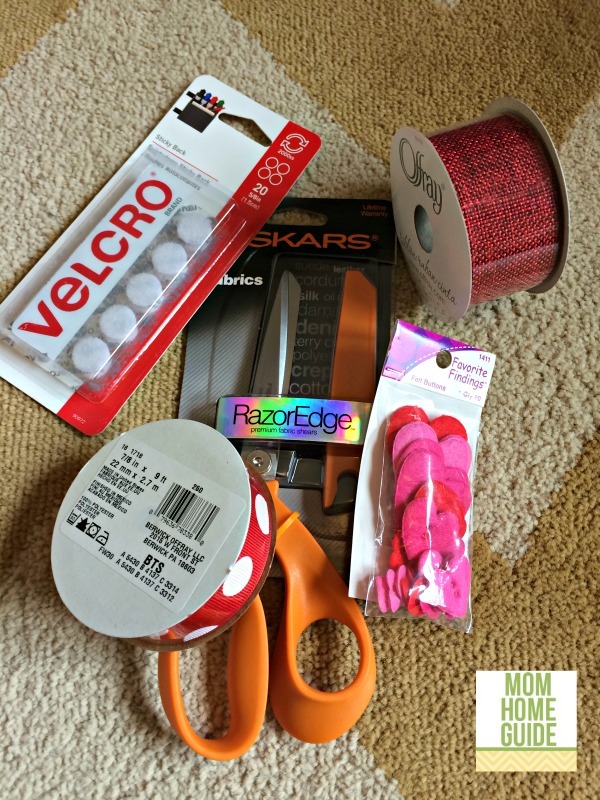 Plus, I am co-hosting a spring craft blog hop challenge with 17 other bloggers! 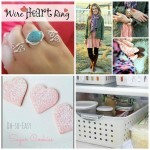 The challenge is a fun way to find new Valentine’s Day, President’s Day and Mardi Gras decor and craft tutorials — and get to know some great blogs! 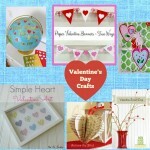 Please feel free to link up your own craft tutorials and to visit the blogs of my blogger friends! Here is my Valentine’s Day Craft: Valentine’s Day Pillows! I’ve only had my new living room since last spring, so I just love dressing it up! Up until early last year, all my home’s living room housed was a piano and some toy boxes. Now that I’ve furnished the space with a fun area rug, the sofa, a pretty chair and my DIY chalk-painted console table, I just love the room! I’ve been decorating the sofa through the seasons, so this year, I decided to make Valentine’s Day pillows for the sofa! We’ve had the snowman for a few years, but my daughters and I saw the teddy bear a few weeks ago in an after-Christmas sale, and we just couldn’t resist him! 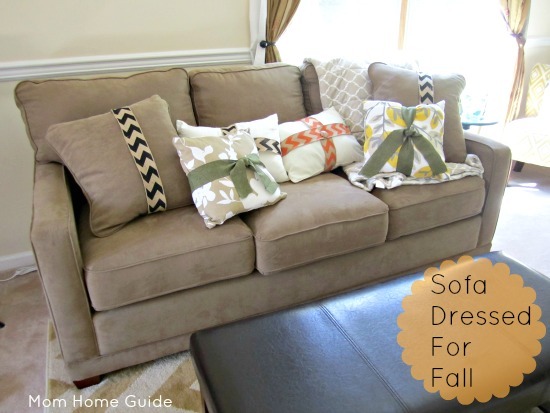 In the fall, I dressed up the sofa’s throw pillows with burlap ribbon. It was an easy project and I loved our fall pillows! 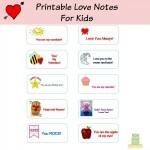 You are not going to believe how easy this project is! I completed it in less than 20 minutes! The first thing you’ll want to do is choose which pillows you want to wrap with ribbon. 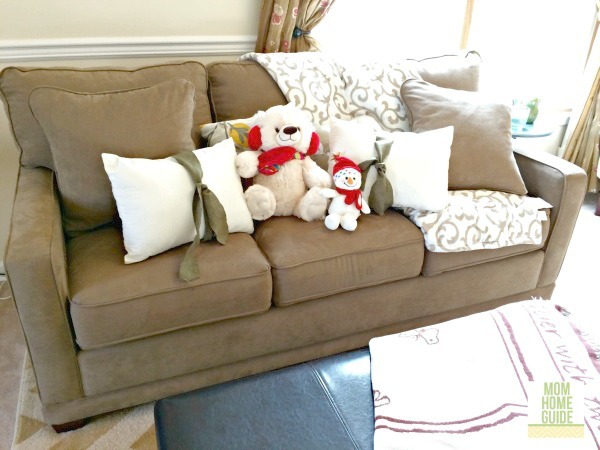 I just wrapped my sofa’s existing throw pillows with ribbon. Wrap ribbon around the middle of your pillow so the ends are overlapping about an inch in the back. Cut ribbon. 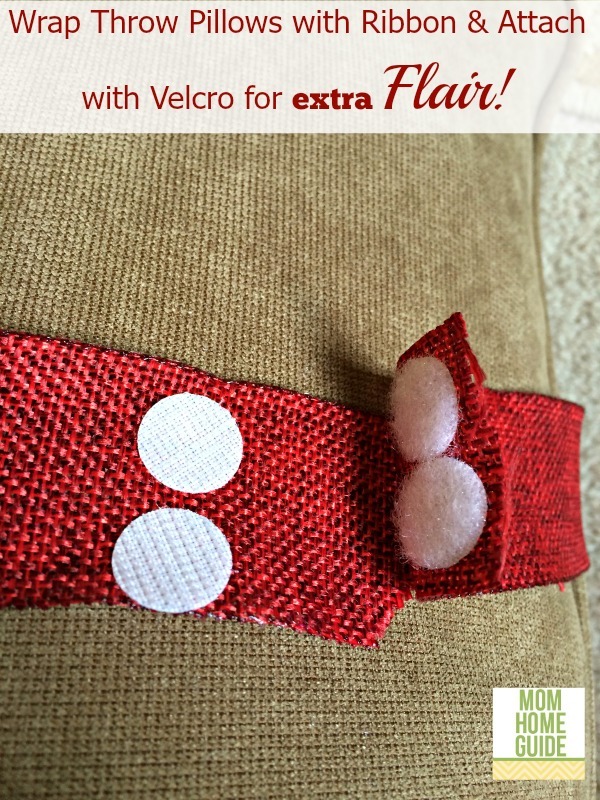 Secure the ends of the ribbon (on the back of the pillow) with Velcro. Step back and enjoy your work. You’re done! 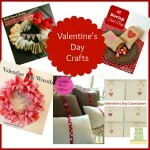 Have fun, link up your craft and decor projects, and browse the craft and decor projects of my blogger friends! If the Linky Party does not show below, please click on the InLinkz link below to be taken to the party! 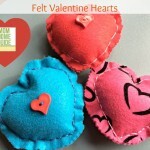 Your Valentine pillows are so cute and easy, too! 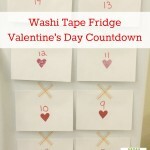 I love how you can just un-velcro it and put it away with your other V-Day decor each year and then pull it back out! Thanks, Carrie! They were easy! I might do Velcro embellishment for the sofa pillows every season!